Nanofluids are a very interesting field of study in the improving of efficiency in cooling and heat transfer applications, with a variety of R&D projects actually focused on them. Nanofluids are colloidal suspensions of nanoparticles in a traditional thermal transfer fluid, such as water, glycol or oil, offering augmented conductivity and higher thermal transfer rate. Nanomaterials bring indeed improved and orginal mechanical, thermal, electrical, magnetic and optical properties. 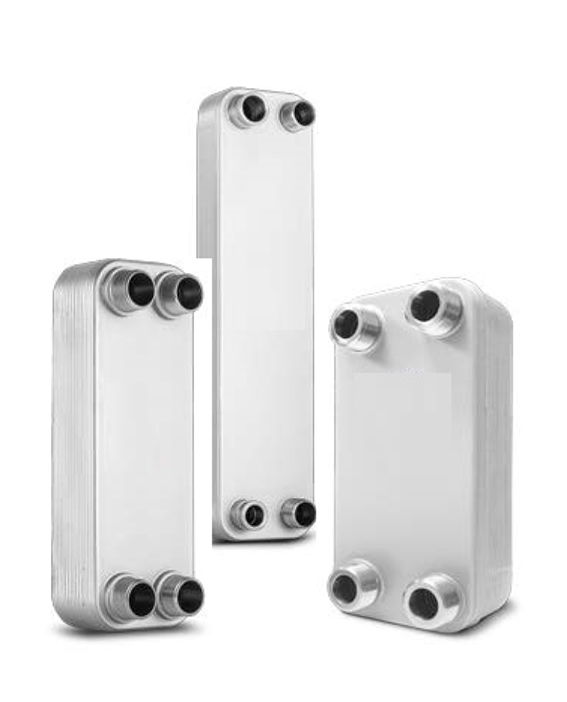 Potential applications of nanofluids are limitless, in the HVAC sector and chillers, in heat exchangers efficiency, in fuel cells, absorption chillers and concentrated solar power collectors. Nanotech fluids can then also be employed as nanolubricants, as the addition of nanoparticles and nanotubes to a traditional mineral oil base increase heat dissipation and tribological properties of a common lubricants, with boosted wear resistance that extends the lifecycle of mechanical moving parts in motors and compressors in chillers. The idea of mixing metallic particles to a fluid in order to create solid-liquid suspensions as enhanced thermal fluids goes back to Maxwell, who in 1873 observed that solids have a much higher thermal conductivity than fluids. Millimeter or micro-sized particles tend however to settle very rapidly, causing clogging and abrasion. The bloom of nanotechnology gave finally new life and meaning to the idea, with the studies of Choi who in 1995 named these innovative thermal fluids as ‘nanofluids’. The research on nanofluids is still in its experimental phase, often producing discordants results in the different labs involved. This is due to a series of factors, such as the ability to create stable nanofluids, avoiding aggregation and deposition effects of nanoparticles in the suspensions, for example using s dispersants. Moreover, the addition of nanoparticles to a thermal fluid increases its viscosity, thus increasing potential pressure drop, and requires a higher pumping force to ensure the proper fluid circulation in the hydraulic circuits of the equipments. 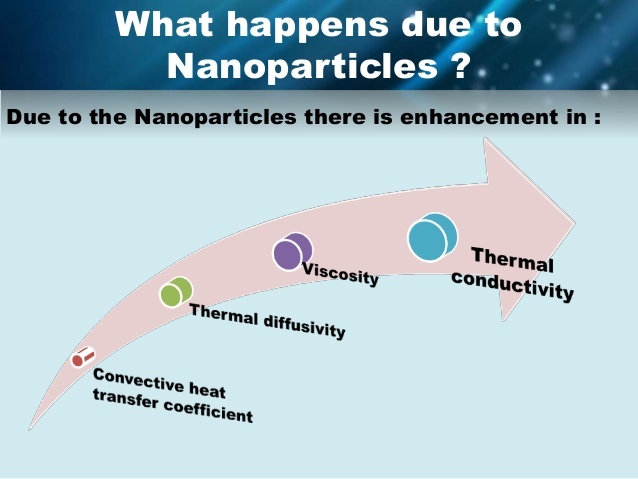 The properties of nanofluids are then strictly related to the type of nanoparticles employed, its size, shape and the concentrations, not even forgetting the effects of other variables such as temperature, pressure and magnetic fields applied. The theoretical understanding of the mechanisms that define the changes of thermal-physical properties and of thermal-fluid-dynamic behaviour of nanofluids are also not very-well known yet. 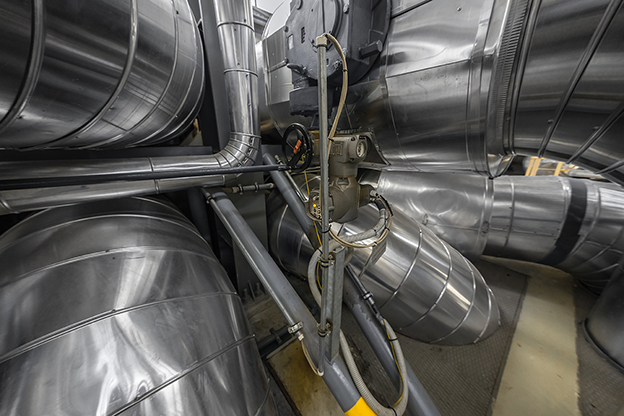 On the web there is a wide variety of application cases and research projects on nanofluids, for example using nanorefrigerants in refrigeration plants. The addition of TiO2 nanoparticles, for instance, can boost the solubility of R134a in a mineral oil, improving the performances of chillers and achieving a better circulation of the lubricant oil within the compressor. Nanofluid-based products can also be found yet on the market, such as this vegetal oil-based nanorefrigerant CF Cooling Fluid, for engine’s internal closed-circuit cooling systems. Further interesting study areas are the use of nanotech thermal vectors as working fluids to increase the rendition of ORC cogeneration units, or the employ of nanofluids as organic fluids for the energy storage and heat transfer in concentrated solar power plants. In nuclear plants applications, a dedicated interdisciplinary center has been created by the MIT (Massachusetts Institute of Technology), with an extimated increase of 20% in the capacity of nuclear plants by using nanofluids, without any technical variation on reactors. In Italy, finally, several R&D projects are in progress at the NHT, Nano Heat Transfer Lab in Padua, exploring the potential of innovative solutions in the field of nanofluids and nanotech thermal transfer.